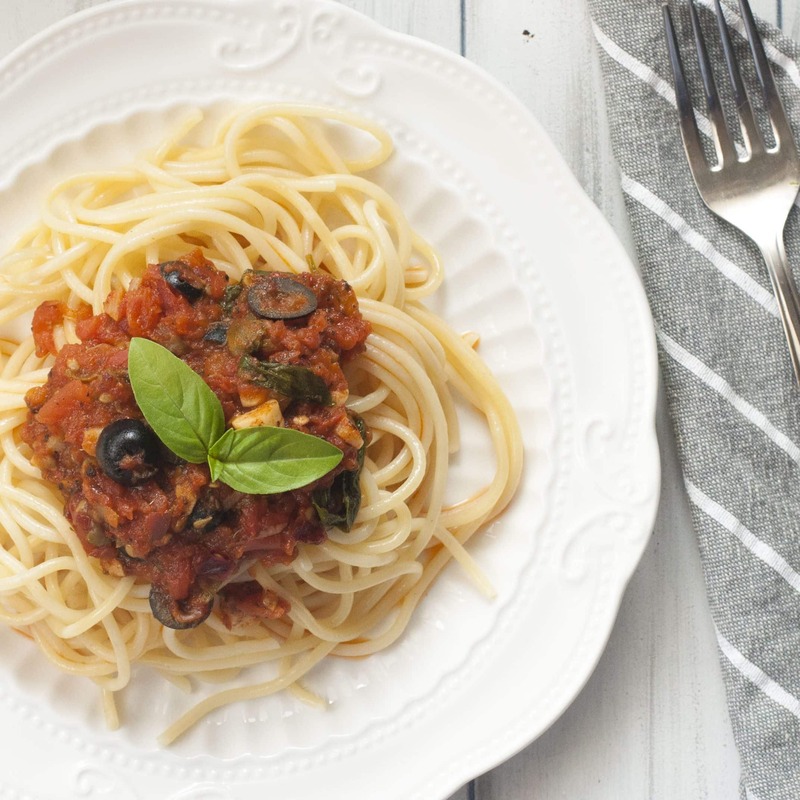 I am all over this spicy Italian Puttanesca Sauce!! Just can’t get enough of it. My Indian soul just warms up with every forkful of the spaghetti in this Spicy Deep Red sauce with flecks of capers and olives which give it a unique sourness, the chilli flakes which tickle the pallete and the fresh herbs which give it a hearty character. But First,Let’s talk about the dragon in the recipe,thorn on your potential side, the one ingredient which might make you pass the recipe.The Anchovies.Yes its a fish.Yes it stinks.Yes its unsightly but this in small quantity gives this sauce a depth it would otherwise lack. If you are vegetarian or Vegan then by all means skip this fish.But if you eat fish then I suggest you try and get your hands on this small little beast of flavour and use it in this sauce. I have used about 10 normal sized tomatos you get in India.These can either be grated whole or you can make small X on the bottom of the tomatoes and drop them(gently) in a pot of boiling water.Simmer for 2-5 minutes.Cool them and remove the skin and then grate or alternatively blend them roughly. It’s a light chunky sauce quite different from the cherry tomato and the roasted tomato pepper sauce I have shared with you guys in the past.This one is lighter but carries a punch better yet punch of punches! Heat the oil in a a pan. Add chopped Garlic,capers,olives,anchovies,dried parsley. Saute well. Just before adding the tomatoes add the chilli flakes. Next Add in the grated tomatoes.Cook for 2-4 minutes. Once the tomatoes are cooked and the sauce has thickened add the fresh herbs. I have also made a video of this sauce.Hope it helps you.